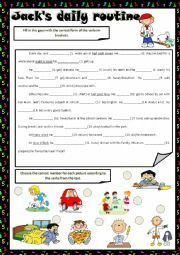 Exercises on question words: multiple choice, fill in the gaps, write questions and answer questions. This is the first part of the worksheet because it was too big and I had to split it into two. 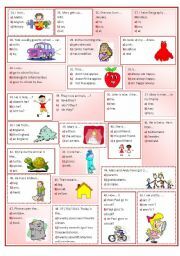 Simple text about daily routine to fill in with the simple present of verbs. Matching activities. 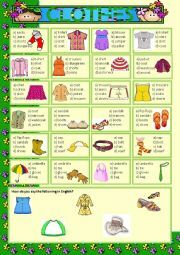 One multiple choice exercise and one How do you say in English exercise with clothes. 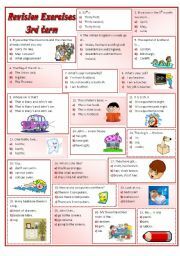 11 flash cards on classroom language - students speaking. 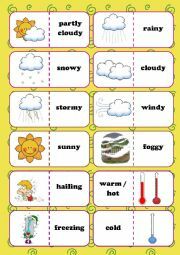 Nice pictionary about weather and temperature. 1st part of a revision worksheet for students in their 2nd year of English - 23 multiple choice questions on different subjects (vocabulary and grammar). 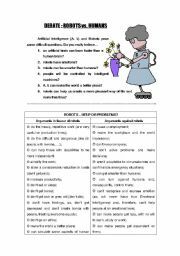 2nd part of a revision worksheet for students in their 2nd year of English - 27 multiple choice questions. Each square was meant to have a picture but the document was too heavy so I took them out but you´re welcome to add pictures. 2nd part of the worksheet. 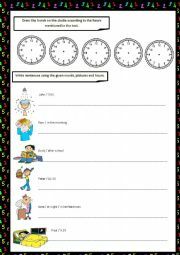 Draw hands in the clocks and write sentences about daily routine. Some useful tips to hold a debate on the topic robots vs humans. 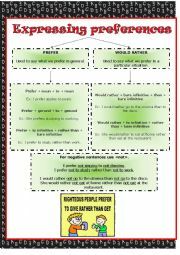 Explanation on the different uses and forms of «prefer» and «would rather». Exercises using both ways of expressing preferences. Following my powerpoint presentation on reported speech - questions - I made this «who wants to be a millionaire» game with reported questions. Hope you enjoy it. Animated pictures to answer the question What is the weather like? Good to practise vocabulary. Brief explanation on the changes occured in reported questions. 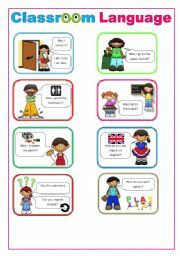 This is a made up story to lead students to practice the phrasal verb to come. 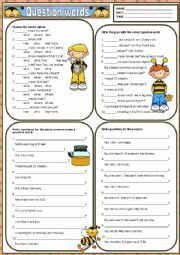 It has a worksheet to go with it which I have uploaded today as well. Jeopardy game to test your students on basic knowledge on question words, pronouns, determiners, present and past tenses. All multiple choice. First students watch a small video on good and bad interviews. After naming the things people did well and bad in the interviews there is a list of things people should and shouldn´t do in interviews. Very useful for the topic jobs and to prepare oral presentations (job interviews). 1st part of the jeopardy game with five contents: family and house vocabulary + prepositions of time, some, any, no, telling the time. Couldn´t get all in one due to size limits, so you have to download the 2nd part as well. 2nd part of the jeopardy game with five contents: family and house vocabulary + prepositions of time, some, any, no, telling the time. Couldn´t get all in one due to size limits, so you have to download the 1st part as well.